Associate of Applied Arts, Art Institute of Houston. 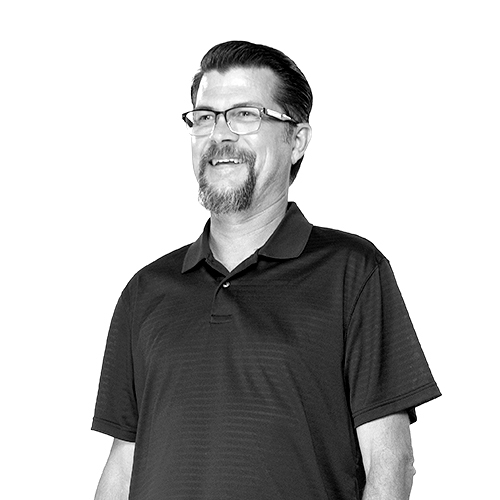 Steve has 25 years experience in pre press print production, layout, design, illustration and digital photo manipulation. Twenty of those years have been on Macintosh computers, and he is proficient in Adobe Illustrator, InDesign, QuarkXpress, and Adobe Photoshop. CHRISTUS Southeast Texas Health System, Children’s Hospital of San Antonio, CHRISTUS Health Gulf Coast region, Spurs Sports & Entertainment, Plano Convention and Visitors Bureau, Timber Tech, Southern Steel, NOMA Products Inc. (Jackson, Tennessee), SEARS Outdoor products, Columbia Bowling Balls, TRACK, Baptist Hospital System, M&M, Lipton, Uncle Ben’s, Smucker’s, IBC Bank, San Antonio Water System, Sunset Station, South Padre Island Convention and Visitors Bureau and CPS Energy.